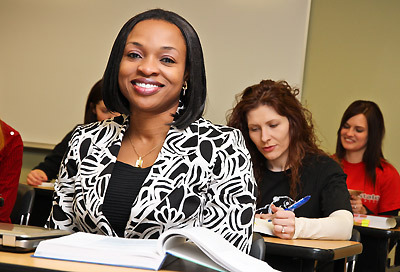 The College of Business Graduate Programs offer relevant degrees for today’s world. Students can attend classes on campus or earn their degrees entirely online, in some cases in as little as two semesters. The College of Business Graduate Programs provide a convenient and affordable option for working professionals who are ready to further their education and enhance their value in the workplace. "The instructors of Minot State University go well beyond the normal call of duty. Earning a Master's degree is a daunting challenge, and the MSU staff ensures each student reaches a level of personal excellence." "A graduate education is a big investment into the future. As a result of this, it required careful planning. The masters degree program in Information Systems has allowed me to study at a level I never thought I would get to enjoy. This program provoked my critical thinking, analytical skills and taught me about teamwork. The knowledge obtained has been beneficial in my professional career."